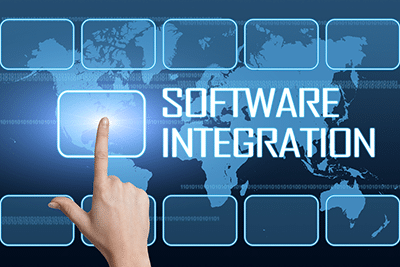 In addition to our own innovations over the past 30 years, whenever any software developer comes up with a great application that can improve the speed, efficiency and quality of our TempsPlus staffing software solution we build them right in…Seamlessly. iPay is a TempsPlus debit card processing software application provided at no cost to TempsPlus users. It provides you, the employer, with the ability to pay employees using a Debit Card or Check Card in lieu of printing a physical check. Filling job orders has never been faster or easier! Not only can you find the right personnel instantly via Bridgeware’s TempsPlus v4 staffing software, but now through our fully integrated solution with call-em-all, one recruiter, in one simple step, can contact all qualified personnel in your database and find out who in interested and available without making a single phone call! Track employee hours (e.g. arrival time, departure time, lunch break, personal time off), assignments, projects and expenses with a wide range of time tracking interface, regardless of location or time of day. Each time tracking interface is designed to accurately record an employee’s time to reduce human error, as well as, identify and resolve payroll issues early. There is NO SOFTWARE to install, manage or support. Your critical employee data is automatically delivered to PeopleNet for viewing, editing, reporting and approval within the PeopleNet’s workforce management console.